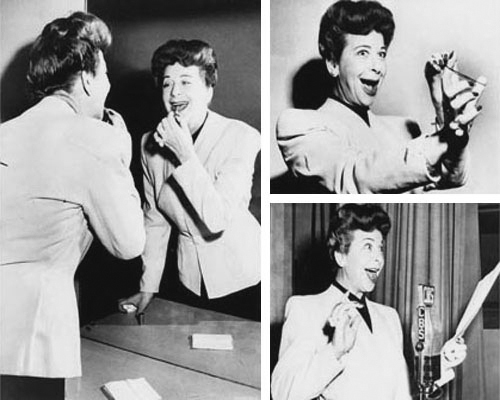 Her radio career began in 1942, a straight singing job with George Olson's orchestra in a short-lived radio serie. 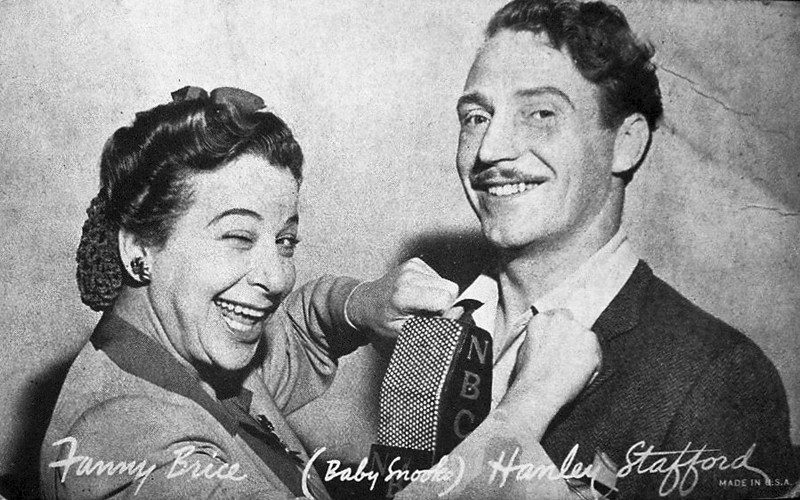 Four years later, with Hanley Stafford as Daddy, she introduced Baby Snooks to the New York airwaves. 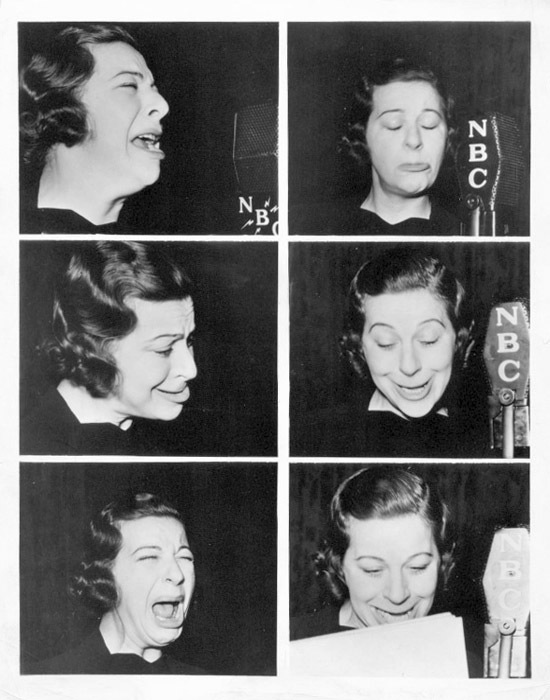 Baby Snooks was based on a character Fanny had spontaneously created at a party in 1921, and had used again for sketches in Sweet and low and in the follies of 1934 and 1936. 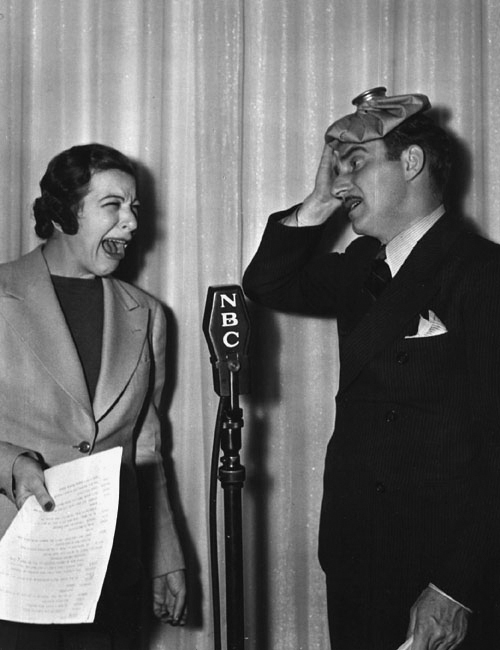 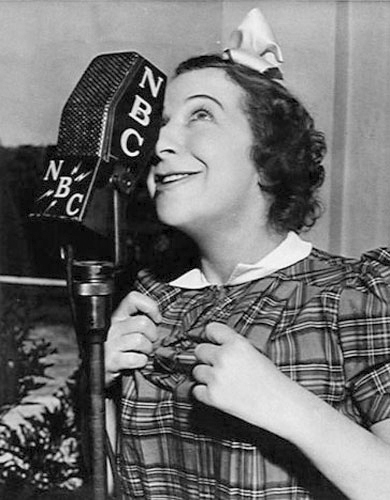 A second Baby Snooks radio series began in December 1937 (The good news show) and from then, almost until the time of her death, the series were on air nearly continuously. 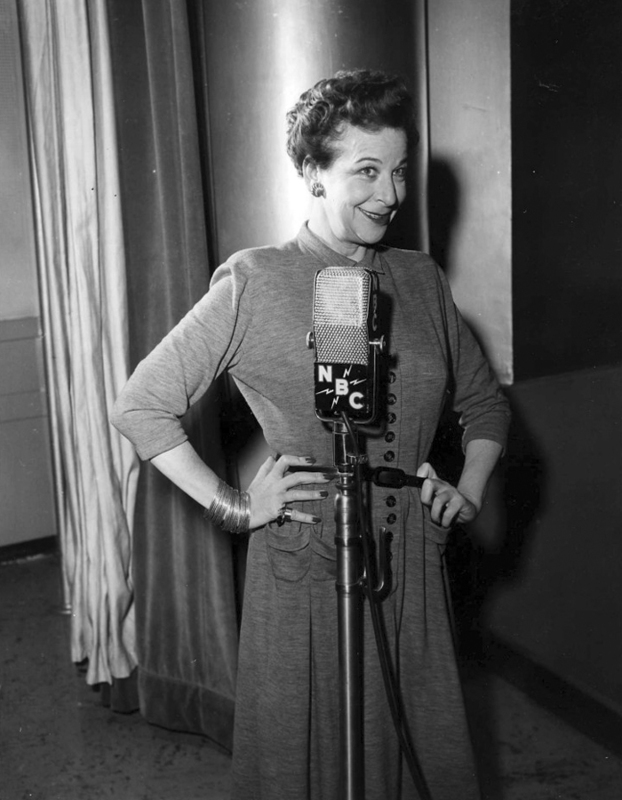 The best list of her radio credits is in the book by Herbert G. Goldman.